Mickey topo, mouse and Friends wallpaper. 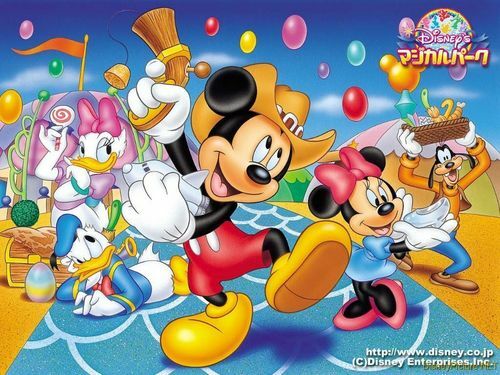 Mickey topo, mouse and Friends wallpaper.. HD Wallpaper and background images in the Disney club tagged: mickey mouse minnie mouse donald duck goofy disney characters wallpaper. This Disney wallpaper contains anime, fumetti, manga, and cartoni animati. I love it too ! i just love mickey dont u? Awwww, its Japanese mickey mouse! Old Disney Film vs. New Disney Movies.